What Happens If You Do Not Agree with Your Parent’s Cancer Decisions? - All Care Hawaii. LLC. What Happens If You Do Not Agree with Your Parent’s Cancer Decisions? One of the most challenging experiences that you can have as a family caregiver is to find out that your aging parent is suffering from cancer and to go through this journey with them. You are not just thinking about this issue as their adult child, worrying about them and coping with the emotions of it. 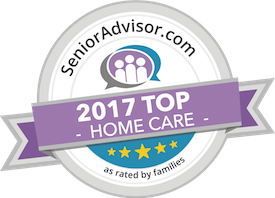 You are also seeing this as their family caregiver, ensuring that their personal care needs and treatment needs are handled effectively and in the way that is right for your parent. In order to do this, your parent must make treatment decisions early in their cancer journey. What happens, however, if your parent makes a treatment decision that you do not agree with? As both a family caregiver and an adult child, you want the best for your loved one. You want them to get through this challenge in the best way possible, and to achieve and maintain the highest quality of life possible. This means that you likely have very strong opinions about the type of treatment that they should pursue to address the form of cancer that they are suffering. It is your parent’s decision, however, and it is possible that they will decide on an approach that you disagree with. If this happens, the way that you handle it can make a tremendous difference in your parent’s experience with the disease and how they will be able to move forward. How can a senior care service provider help? Starting elderly care for your senior may be one of the best decisions that you can make for your senior throughout the course of your caregiver journey with them. An elderly home care services provider can be there with your parent on a customized schedule to ensure that they get the support, care, and assistance that is right for them while also keeping you as the primary force behind their care. A set of highly personalized services are tailored specifically to your parent’s needs, challenges, and limitations, and designed around the goal of helping your parent to stay healthy, happy, comfortable, and safe while maintaining as much independence and fulfillment as they age in place. If they are going through a challenging journey, such as dealing with cancer, you can feel confident that the care of an elderly care provider can help them through it in meaningful and beneficial ways. This can include helping them to stay physically active, providing emotional support and companionship, and giving reminders to help them stay compliant with their medications and treatments. Have questions about home care services Wailea, HI? Contact the caring staff at All Care Hawaii today. Call us 24 hours a day, 7 days a week!